Escape to a relaxation, Secure, and Peaceful Zone! 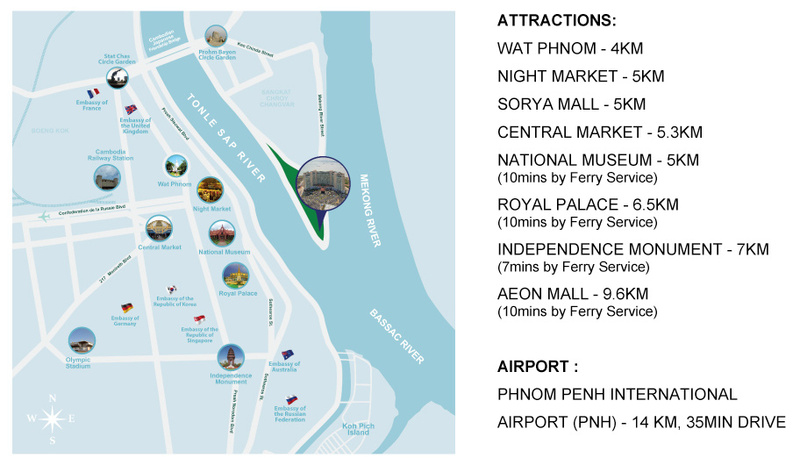 Located on Chroy Changvar Peninsula, Sokha Phnom Penh residence, a luxury serviced apartment, is one of the only locations where you can find tranquility and be at proximity of everything you possibly need at the same time. 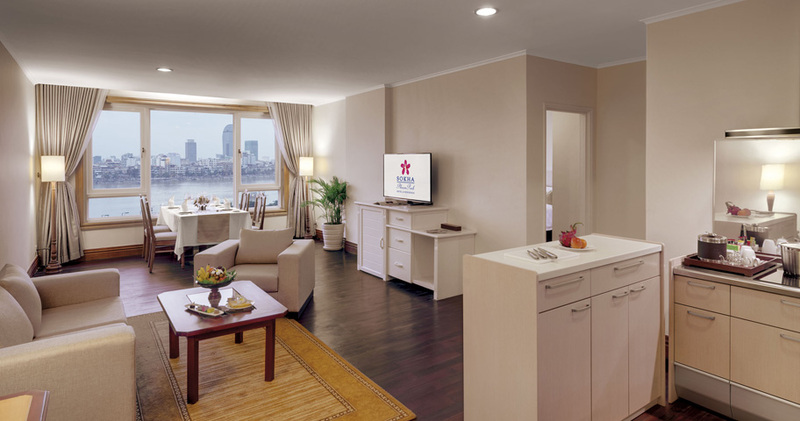 12km from the International airport, Sokha service apartment lies on a 20 floor story building consisting of 195 units provides the best view of the Royal Palace, National museum and city itself suitable for single, couples and families. A home with everything you desire! Exclusively designed, Bassac Suite 01 bedroom apartment offers spacious of separate bedroom, modern kitchen, dining area and a comfortable life with privacy, relaxation, and the serene view of the Great Mekong River especially the stunning panoramic view of the charming city of Phnom Penh City and greenery from another side of rural area. 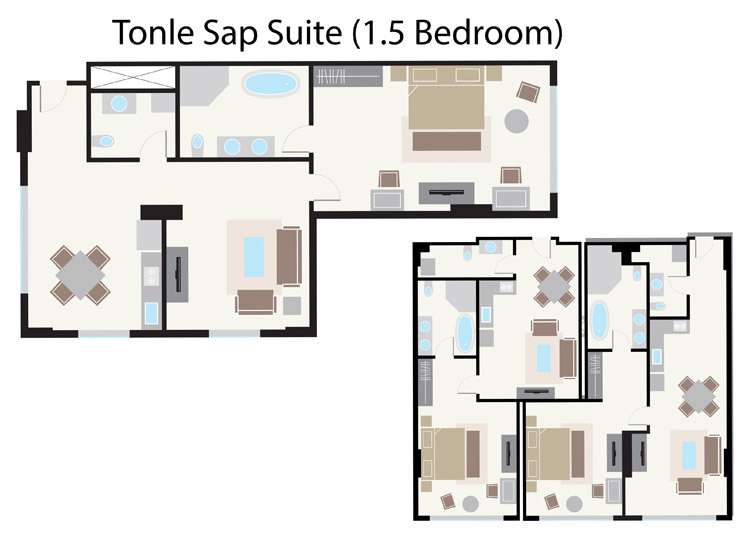 Enjoy the additional space combing comfort and privacy of a private home with living room, bigger space of modern kitchen and bathtub in the spacious bathroom. 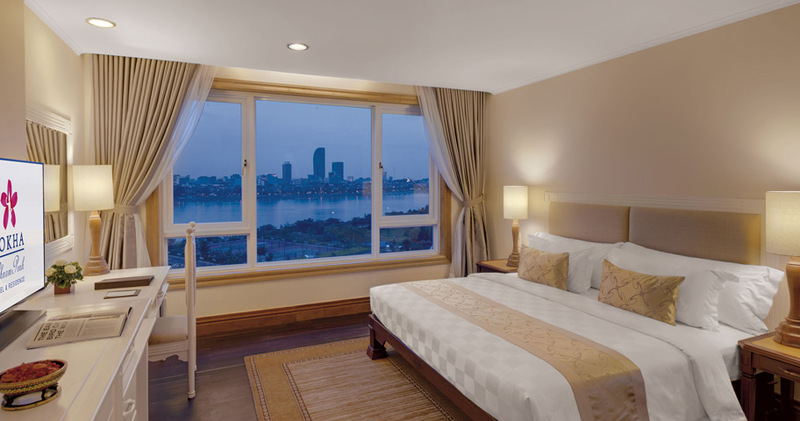 Tonle Sap Suite 1.5 bedroom features the serene view of the Great Mekong River especially the stunning panoramic view of the charming city of Phnom Penh City and greenery from another side of rural area. The Ideal of Luxury Living! 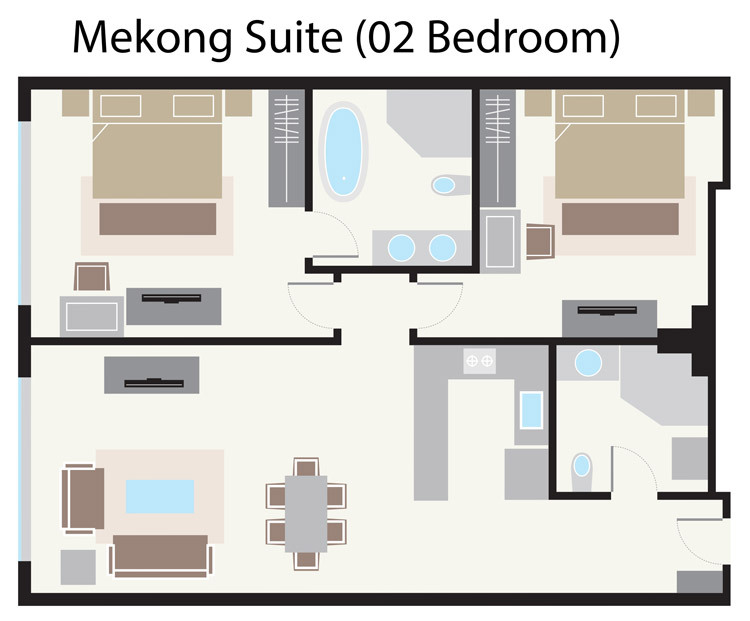 Highly customized and graceful private home, Mekong Suite the 02 bedroom is a premium choice for the idea high-rise luxury living for both family and long stay business travellers. 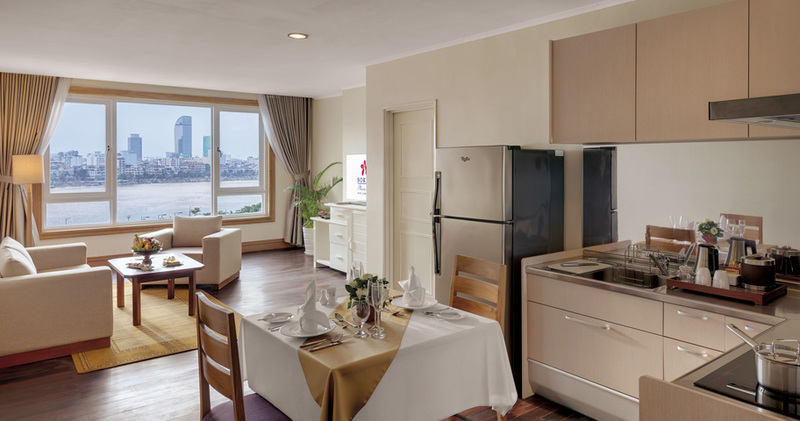 The suite features distinctive breathtaking views of the Great Mekong River especially the stunning panoramic view of charming city of Phnom Penh City and greenery from another side of rural area. 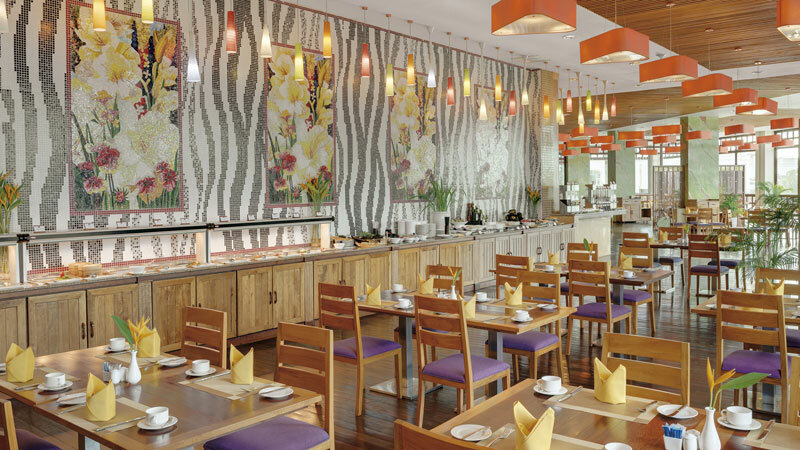 Enjoy stunning river view and indulge in international selection buffet breakfast, buffet lunch, and dinner with large selection of cold and hot foods, homemade pastries, rolls and bread at our all-day dining restaurant, The Lotus. 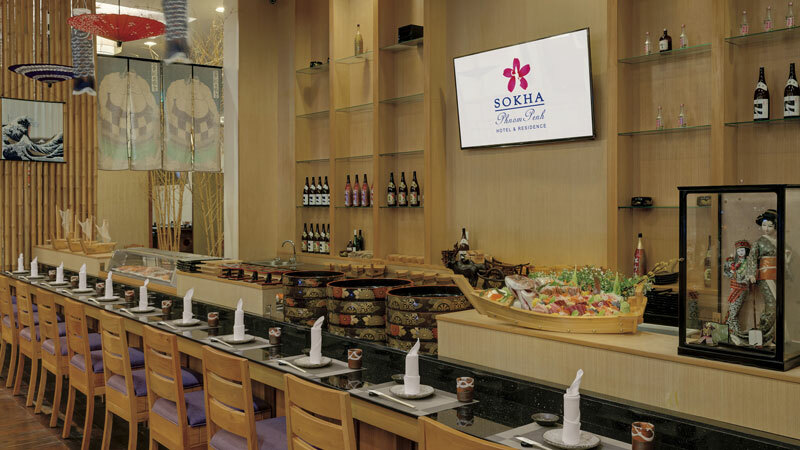 It's a perfect choice for all-day dining! 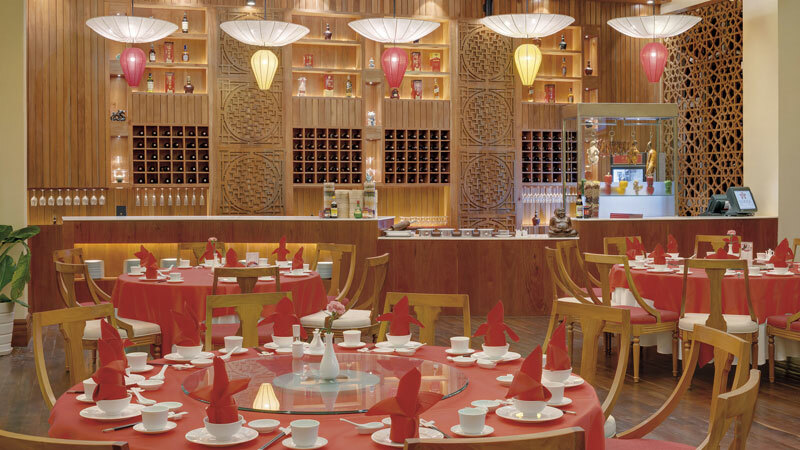 Refined and well-furnished interior decoration, The China House offers Regional Chinese specialties from Guangdong, Sichuan, Hunan and Beijing. 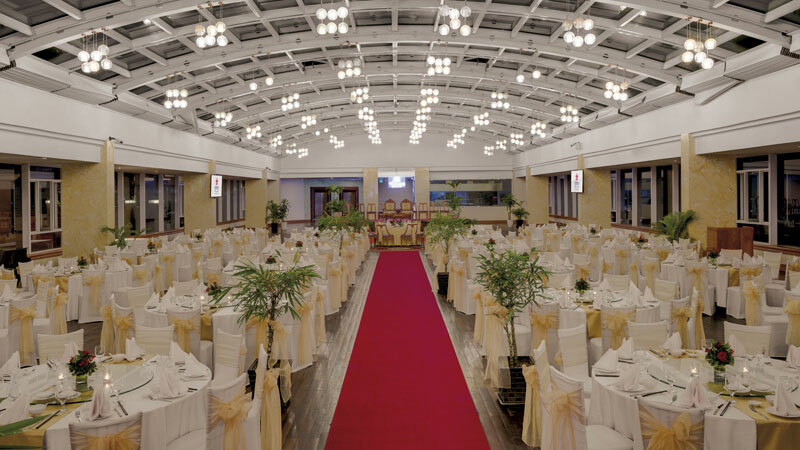 The famous Peking duck and roasted meat platters, fresh seafood and seasonal specialties as crab, abalone, sea cucumber and lobster will be served for any hosting or family celebration. The private rooms with VIP setups and custom-made set menu are available for a nice meal with family and friends, or to host a business luncheon. 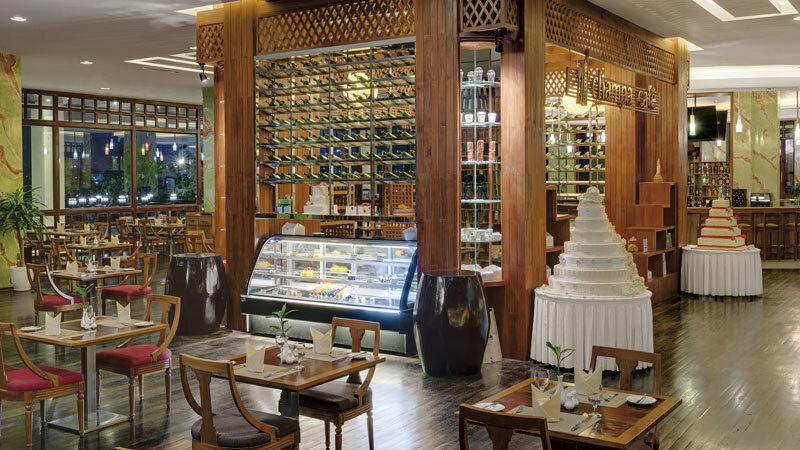 From a spectacular interior to an exquisite array of Italian cuisine, The Bel Cibo brings out the most ideal atmosphere for an amazing Italian experience. The restaurant is influence by Tuscany and the northern regions Italy serving prime cuts of meats, poultry, seafood and homemade pastas, home cured olives, marinated vegetables and mushrooms in virgin olive oil will deliver delicate palette of flavor's enhance the dining experience homemade breads, delightful dessert and cheeses served with selection of premium wines. 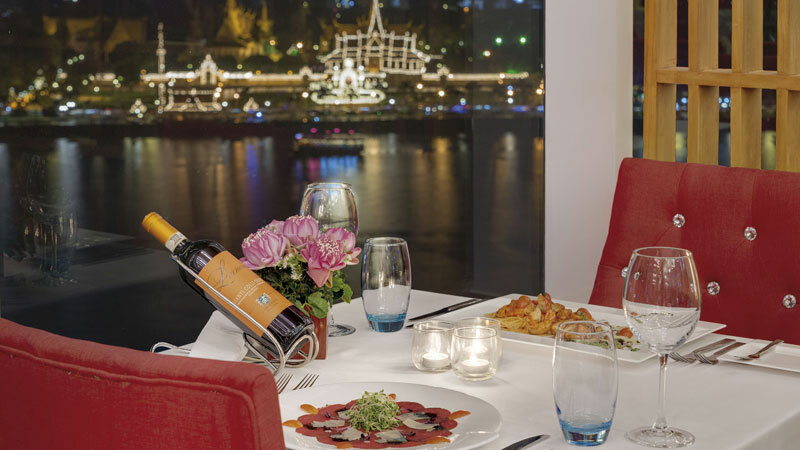 It is ultimate Italian dining experiences away from home and here in Phnom Penh with excellent view of the river and city. Street KeoChenda, Phum 1, Sangkat Chroy Changvar, Khan Chroy Changvar, Phnom Penh, Kingdom of Cambodia.